Elevator Drawings at your Fingertips! 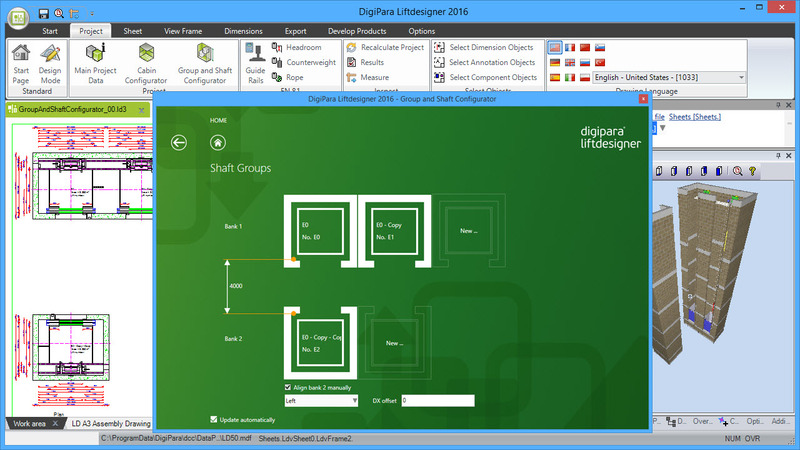 DigiPara Liftdesigner consists of predefined elevator parameters, component structure and elevator logic. It combines all the important elevator information to quickly design 2D elevator drawings. 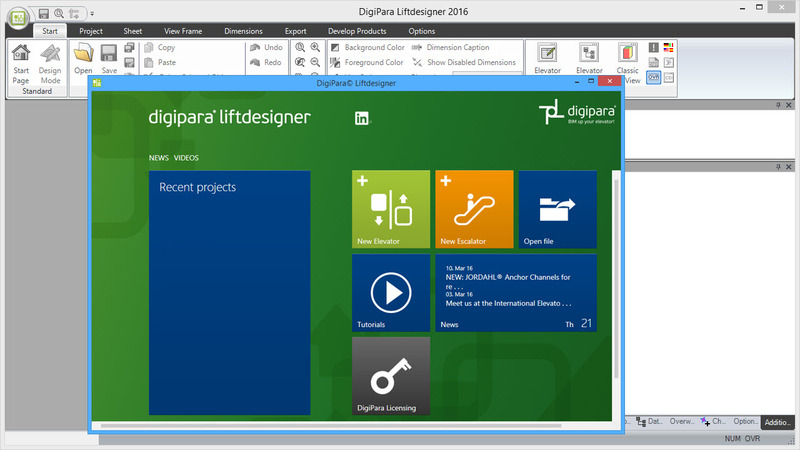 DigiPara® Liftdesigner is a seperate Windows® Application and requires no other CAD Program. You can design any shaft size and any dimension can be reached. It supports new projects as well as modernizations. 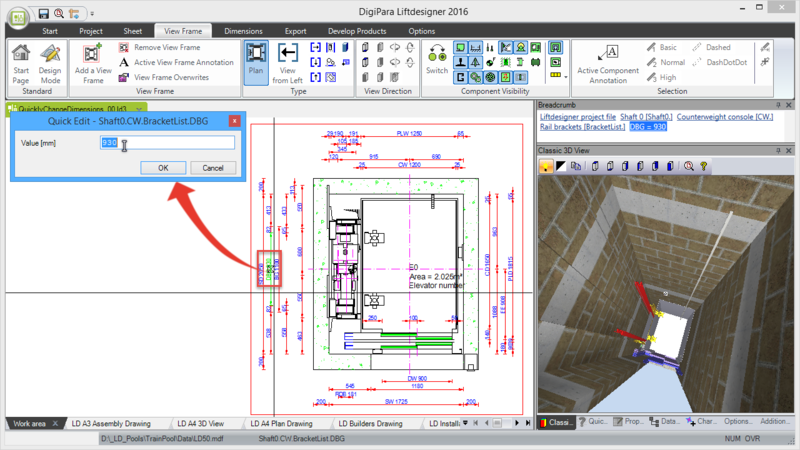 Create a new DigiPara® Liftdesigner project within a few clicks: the ShaftWizard will produce a complete 3D elevator model. Easily define the shaft width and depth by adding pockets, changing car dimensions or exchanging the door package. 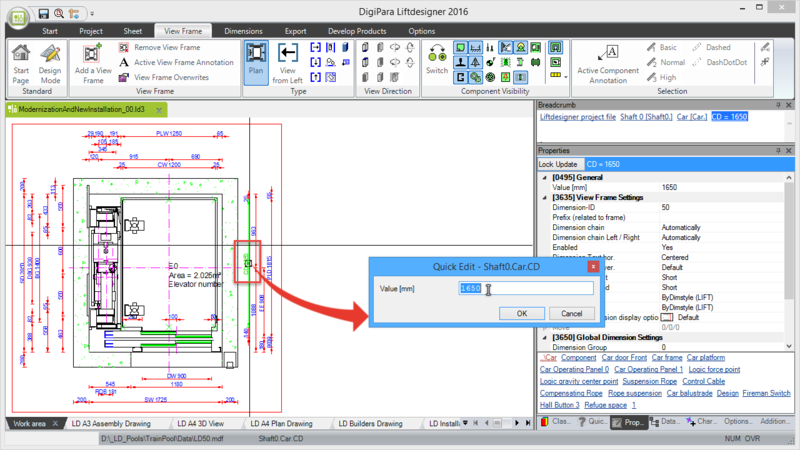 While creating your 2D drawing, DigiPara® Liftdesigner supports by default a 3D view for visualization. Group elevators can be created via a shaft copying operation or via the shaft wizard. The copied / added shaft, includes all shaft components and is completely independent from the initial shaft. 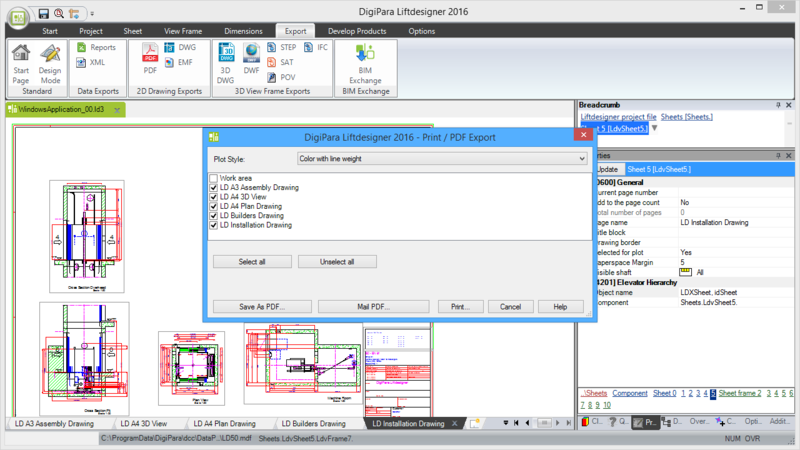 Save your completed drawings as PDF and transmit them easily to all involved departments. 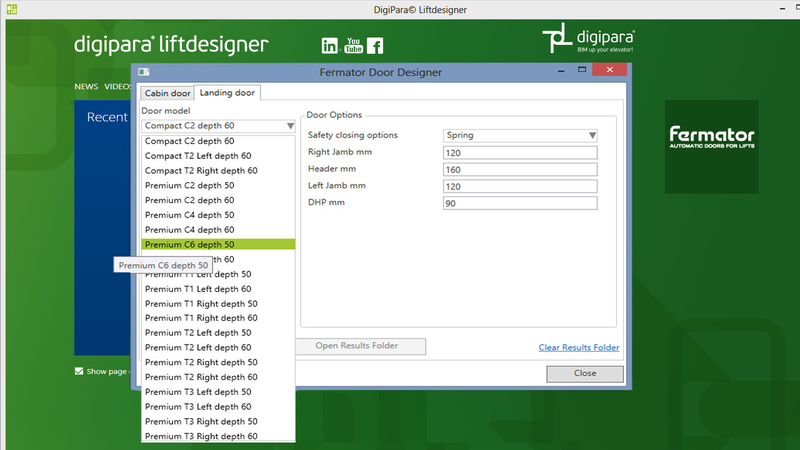 Configure Fermator doors. Install the Fermator door in your elevator model. Export 2D and 3D Fermator models. As BIM experts in the elevator industry, we are optimizing the planning and construction of elevators and escalators. Our experience helps our customers succeed by becoming faster and more efficent. 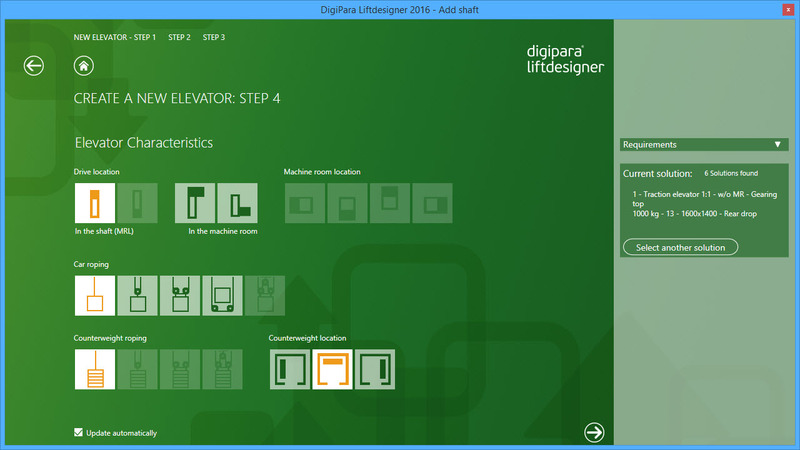 DigiPara® Liftdesigner has more than 3,000 users worldwide and thousands more professionals in the elevator industry are still interested in our software. 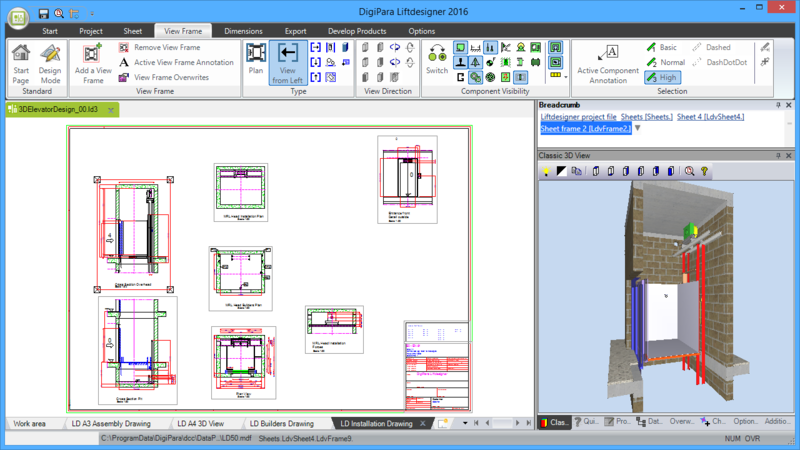 That’s why we have decided to provide a DigiPara Liftdesigner Free Edition – to support all elevator companies with their entire planning process, thus bringing time and cost advantages.